I’ve been hugged more this week than I probably have in the last year. I love it, but really? I’m just getting to the point where I want to go home and hug my own kids. 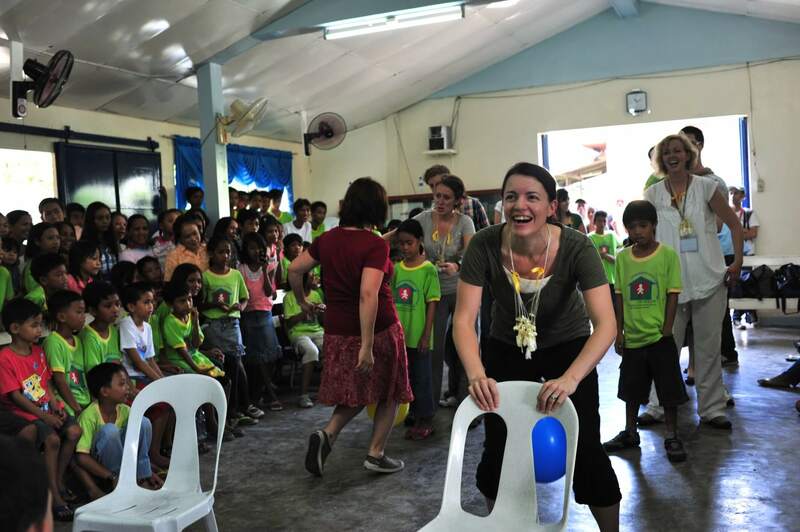 and drawn letters in the air with my bum to make Filipino children laugh. I’ve also seen a lot of harder things. Like where my sponsor child lives. And houses that require rafts made of styrofoam to get across to them through the water they sit in. And beautiful, radiant young women who love and serve Jesus tremendously, even though they have to walk through terrifyingly dark alleys to get to their one-room homes in the slums. All week, I have intentionally kept my eyes wide open so that I could see the reality of it all, but the truth is, I just don’t want to see it anymore. It’s not that I want to close my eyes to the fact that it exists altogether, but I feel a tension between simply losing it and being incapable of handling the sadness anymore, or having to harden my heart so that it doesn’t hurt so much. It’s always painful to watch others truly suffer, and if it isn’t, we probably need to check our pulse. We’re preparing to leave the Philippines tomorrow, and I don’t know what it looks like to go back home and do life again. But pain is not only a companion of poverty. It is part and parcel of being human in this broken world. While I’ve been here, meeting families whose lives are in turmoil and they have nowhere to hang their hope but at the cross of Jesus, life still carries on elsewhere. While driving to catch our plane last week, we learned that a dear friend, a young mom just like me, has gone from battling breast cancer to now being diagnosed with brain cancer as well. She had surgery on Tuesday morning to remove one of the tumors from her brain and I’ve simply had to try to force myself not to think about it just to continue to walk through all that we’re seeing here. No. Pain is universal. We can try to close our eyes if we want to, but it’s only an exercise in futility. It will still be there, whether we want to face it or not. I prayed for a mom today. Her oldest child reminds me of my own 6 year old daughter– bright, bubbly, precocious, articulate. Her youngest was the same age as my Johanna, about 2 years old. 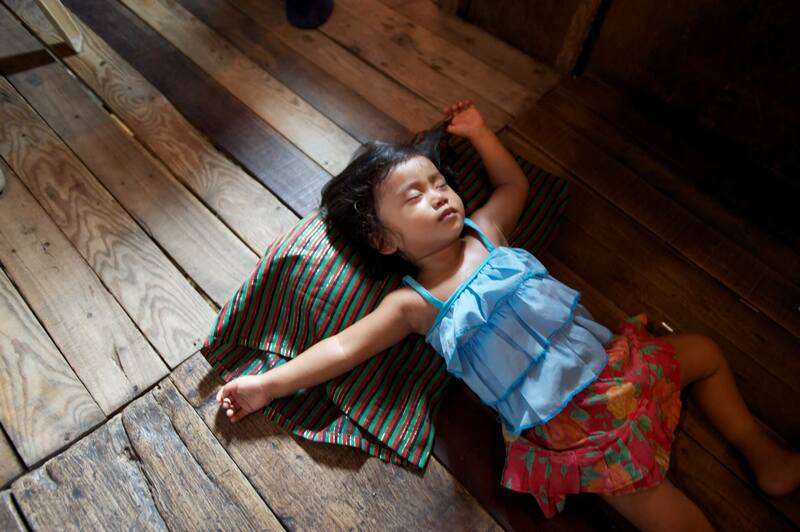 We saw little Diane conked out on the wood floor, taking a late morning nap during our time there. She looked like any other sweet, sleeping babe, except that she has a large, blood-filled growth in her diaper area that causes her great pain and distress. She needs to have it surgically removed, but they may not be able to afford it. I asked her mother what would happen if she didn’t get that surgery. She said she didn’t know, her eyes glistening with tears, and with a look that can only belong to a mother helplessly watching her child suffer. I had to fight hard to keep from losing it right then and there. My gut reaction was to swoop Diane up into my arms, take her home, and get her that surgery, exactly the way that we would without hesitation if it was our own little girl. And I know that that isn’t the answer, but right now I’m struggling to know what the right answer is. I feel helpless, impotent, fragile, useless and weak. I want to help them all, but I can’t. I want to snap my fingers and wave some pixie dust and make the pain and the poverty and the loss and the suffering go away. I feel frustrated that I can’t make a difference in the lives of each precious child that I meet. But what I’m beginning to see is that I can’t do everything for everyone, but I can do something for at least some of them. I can do something for Joshua and Joseph, our sponsor children in Kenya. 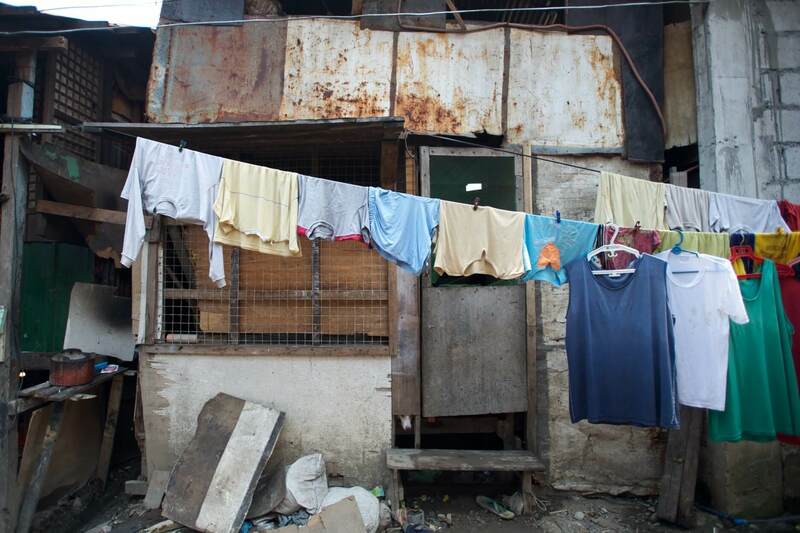 I can do something for John Mark and his family here in the Philippines. I can choose to pry open my swollen eyes and allow the Lord to be the lens through which I see the pain, and I can listen to his gentle promptings for our own family. I can choose to say “yes” when he calls and help those whom he leads us to help. I am only one, but I can do something. You are only one, but you can do something in the life of one child. For those who have been reading along all week during our time here, or even just this one post, thank you. Thank you for being willing to open yours eyes along with us. The point isn’t necessarily that you sponsor a child with Compassion (although I would definitely encourage you to prayerfully considering doing so), but rather to ask that you would join with us in slowing down long enough to really see, and to really listen, and to simply say “yes” to his whatever his voice is speaking to you. Next Post: Is Compassion International a Good Investment? A Husband’s Perspective. Maybe your something is to commit to writing your child once a month or more. I hope that my blog can inspire you and give you tips to do just that. Maybe your something is to start blogging and posting about Compassion. There’s a lot of us planting seeds in this way. Maybe your something is to become a Compassion Advocate. I’d love to have you on our team! Maybe your something is to commit to pray for these children, Compassion staff, translators and bloggers. This world can always use more prayer warriors. We can all do something. Truly. Oh Steph, I am crying with you. Thanks for sharing your trip with us. 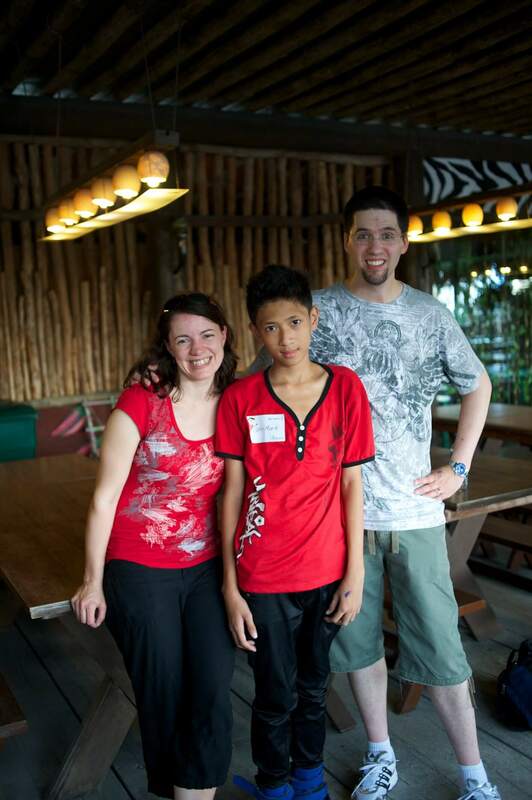 I have thought about sponsoring a child over the last several months, but never did it. (I was also a little concerned about how the non-profits spent their money–looked at all the financials yesterday and was very pleased with how compassion spends their money). Thanks for sharing your story because it made me realize I needed to quit putting off sponsoring a child. I’m very glad I did and really look forward to seeing this little girl grow up and see that she gets the opportunity to get an education and most importantly having the opportunity to be introduced to Christ. It makes me so excited!! I’ve loved reading your blogs, mostly because they have put me in touch with what our sponsored kids face every day. Is there any way Compassion could set up a fund to help little Diane? @Lindy, Thanks for your sweet concern… as I mentioned to another commenter, we are working to try to see if we can make that happen. Pray that it will! @Stephanie @ Keeper of the Home, Yes, I will be praying! And watching for any news of a chance to help this little one. Thanks for all you are doing! 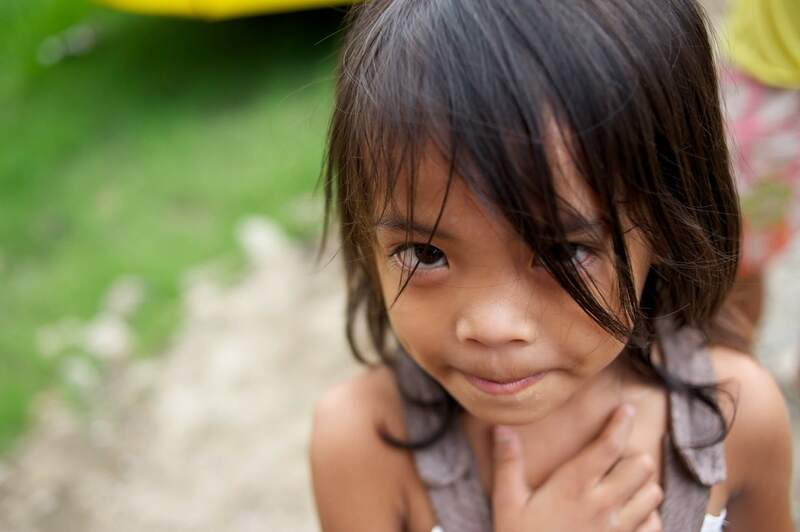 @Lorinda Morey, Unfortunately, Diane is not currently a sponsored child, and at least at this point, is not eligible as she is under the sponsorship age (which begins at 3 in the Philippines- different everywhere). Her older sister is sponsored, though, so the family is learning about Christ and being cared for through the local church. My husband and I were also very concerned for her, so we are trying to make sure that something gets worked out with the country office to get the money to the family. Pray that there will be a way for us to do it! Your concern for her is beautiful… if you’d like, Lorinda, perhaps take a look through the currently available children through an advanced search to see if there are with medical conditions who may be waiting to be sponsored to receive care. Thank you for letting me know her status with regard to the age requirement. When I get home from work I will be showing my family the pictures and signing us up to sponsor a child. My heart breaks… Praise Jesus for Compassion! Will you keep us updated with Dianes progress? As long as her privacy is respected – know what I mean? Wow, I am so affected by this that I am rambling on… Take care and thank you for making this real. @Lorinda Morey, I will definitely keep you updated on Diane and let you know if/when we’re able to get her that surgery. It might take up to a few months to get it all worked out, but we’re just praying that it will happen! I’m so excited to hear that you’ll be sponsoring. That’s amazing. Thank you! I also would like to know if there is someway to help her get the surgery. We sponsor 2 children (from Peru & Dominican Republic) but I would love to give something extra to help this precious little girl! Please keep us updated! Inspiring pictures, really touches the heart thanks for sharing! Speechless. Thanks for forcing us to keep our eyes pryed open even when we want to close them. I looked at that little girl and saw my Cades laying there. Thank you for this post and the amazing pictures and for your wonderful thoughts that inspire! 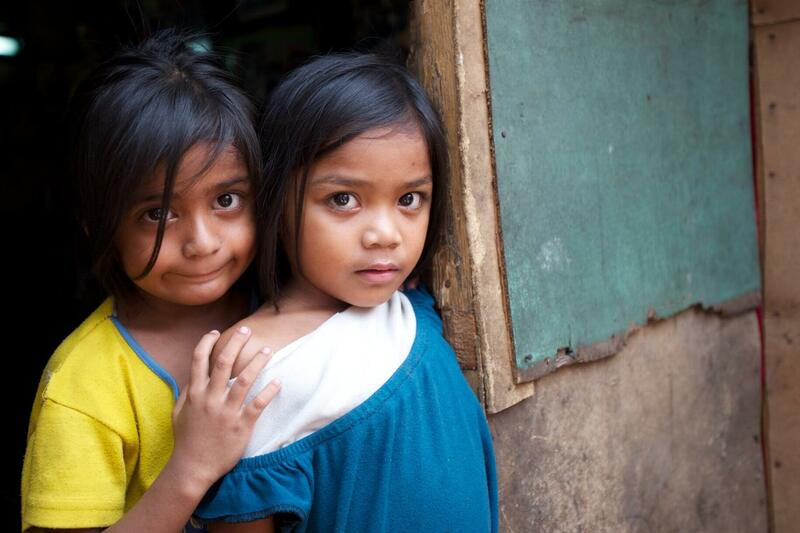 Thank you for bringing all of us to the Philippines with you and opening our hearts to reaching out to others. but we keep looking at the pics of the children. I have really loved your real, heartfelt, loving posts this week. I know you have made an impact on me, tremendously so! My husband and I are talking about sponsoring now, something we may have not considered had I not followed your posts. It’s just amazing how God works that way. We can never do it all but he uses one person to influence others and the ripple effects are awesome. Thank you, Stephanie for letting Him use you! Hi, I havent visited your blog for a while, but landed here today, and am so interested and thankful to see what Compassion is doing in the Phillipines. I sponsor a child in Peru and it’s so helpful for me to see the difference that sponsoring makes, and also to hear your thoughts on it all. It’s unlikely that I will ever make such a trip so I am grateful to see it through your eyes. Thank you. I would really like to see that Diane gets the help she needs. I would love to give to help her. Please let me know if you find a way to send funds for her medical needs. @Colleen, It looks like Diane’s needs will be taken care of, we just need to go through the process of going through the proper channels to make it happen. I will keep you updated. So many have desired to help her and that just blesses my heart so much. Thank you. Perhaps considering sponsoring another little one like her instead? Thanks, Colleen! This was such a tremendous summary of such an increadible journey. Thank you for your heart and your words, and your obedience to go. We are new sponsors for a little boy in Rwanda, but I am praying about sponsoring another child soon. Bless you. I am so deeply moved by this. @kris, Love that you’re already sponsoring and prayerfully considering another! I cannot stop thinking about little Diane. I read your blog amidst my own anxiety over the medical expenses my family is currently and unexpectedly trying to pay off. 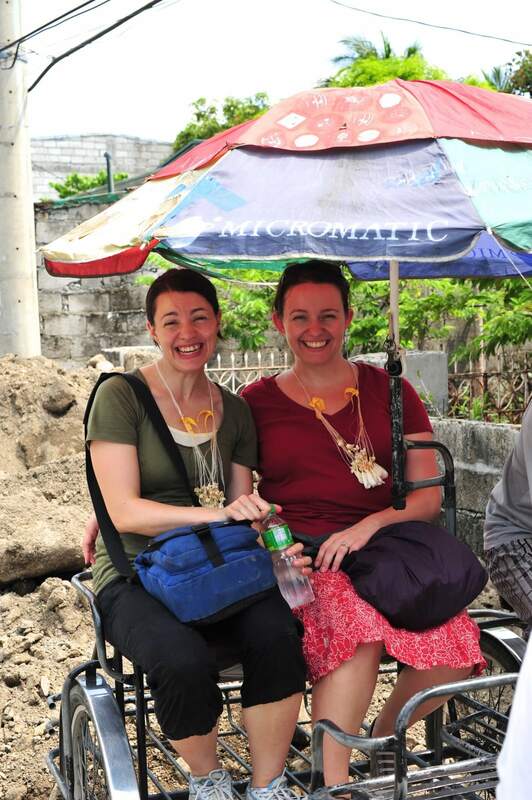 Your heartfelt and painful experience in the Philippines helped me put my woes in perspective. At least I have the means to take care of my children when they are suffering, even if that means paying them off over time. PLEASE let us know if there is any way to get Diane the help she needs through some type of agency or medical mission and then possibly set up a fund. I don’t have much, but I will contribute and I will also ask/beg my family and friends to contribute also. @Sarah, We are going through some channels to get Diane the help that she needs, so hopefully she will get her surgery sooner than later! Thank you so much for your care and concern for her. Such a blessing to me that you and so many other readers have been so willing! How wonderful that you are able to minister like this! I loved seeing the pictures and reading about it. You are definitely making a difference! I have not followed all week but I read a couple of your posts and will go back and read the rest! Thank you for sharing this heart wrenching journey and making others aware of the needs in the Phillipines! Also thank you for making a difference there and in the lives of us here in the U.s. I pray you will have a safe journey home and that this experience will bring others to help and that God will be glorified there as well as here in the U.S. through this!! Oh my word I love all these posts! 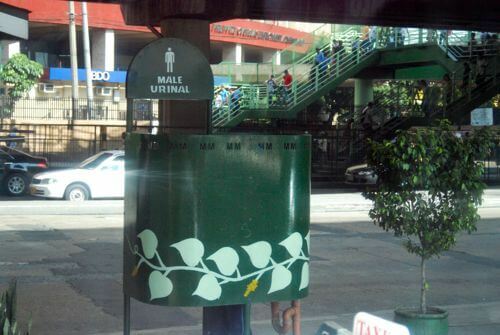 I grew up as a missionary kid in the Philippines. It is my home away from home. Esp love the pic of you all with Jollibee. I loved eating there! Thank-you for sharing your journey. I cried and cried as I read through your posts – especially where you wrote about how much we, as sponsors, mean to the kids. It is easy to think we are simply giving money when we are also giving friendship.